The 26-inch Roadmaster Granite Peak Mountain Bike is an excellent mountain bike for its price. It’s a good multipurpose mountain bike that tackles rugged unpaved paths with ease. It is equally at home just riding around your neighbourhood and the riding parks throughout most large cities. 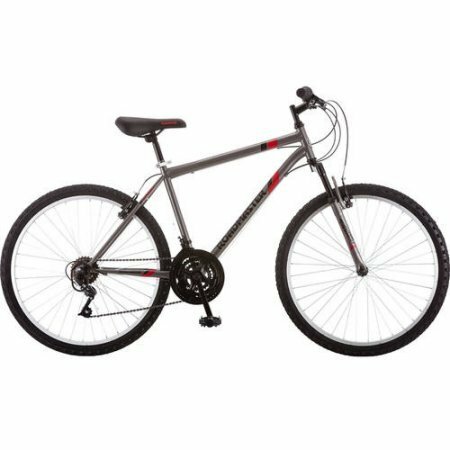 This 26-inchRoadmaster Granite Peak men’s mountain bike features a smooth suspension fork that diminishes the feel of the rugged terrain ahead of you with a tire tread that grips wet pavement, sand, or dirt. With 18 speeds, the SRAM drive adjusts the shifters to change speeds effortlessly. 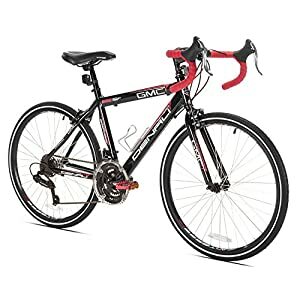 The three-piece mountain crank offers a wider number of gear options that can be found in more expensive mountain bikes.The 26-inch Roadmaster Granite Peak Mountain Bike comes with linear pull brakes, alloy rims, steel handlebars, and a padded seat. Steel mountain-friendly frame construction for effortless riding on even the most challenging terrains. A 3-piece crank producing a wider gear range than many more expensive bikes. Linear pull brakes providing excellent and responsive stopping. SRAM drive twisting the shifters to change gears with a smooth motion and no lag. 26″ Wheels; Alloy wheel rims providing all-terrain control and flexibility. Suspension fork smoothing bumps and increasing rider control. It is heavier than other mountain bikes weighing 38.6 pounds. To some less-experienced riders, riding The 26-inch Roadmaster Granite Peak Mountain Bike may take a bit of getting used to, but this adjustment period is not an issue with more experienced riders. If you’re just starting riding a mountain bike, the adjustment period is minimal and only lasts for several minutes.The few extra pounds of weight of the bike are beneficial as it lowers the centre of gravity making it easier to balance and steer. The 26-inch steel-framed wheels also appear to be a perfect fit for any rider. A larger wheel would make it heavier resulting in more difficult control for the inexperienced rider. If you plan to use the 26-inch Roadmaster Granite Peak Mountain Bike on rugged trails, riding uphill and downhill can be problematic and lead to balance problems if switching gears is hesitant and does not quickly adapt to the rising and falling surfaces.With effortless transitions between speeds and many speeds available, this mountain bike can perform very well. The front suspension fork helps to traverse rocky or rugged terrain to cause less discomfort, although rear suspension could have probably improved the comfort of the ride. However, overall, the bike’s ability to absorb the shock caused by rocks and other uneven terrain is good. Due to the expert design, assembling The 26-inch Roadmaster Granite Peak Mountain Bike is relatively simple. Few tools are needed to disassemble and transport this bike to your riding destination. The rider should be certain that all components are tightened and secure before each use and that’s the difference with Villano Shadow. This is considered a good entry-level mountain bike and has a fair share of disadvantages for the more experienced rider. However, there are none to preclude the purchase by riders of any experience level. The Roadmaster Granite Peak doesn’t have a comfortable saddle for long rides. While the smaller seat can be comfortable enough on short distances, riding the bike for an extended period of time on rough terrains may not. The brakes need regular maintenance should you ride the bike on a regular basis as part of a regular workout program. 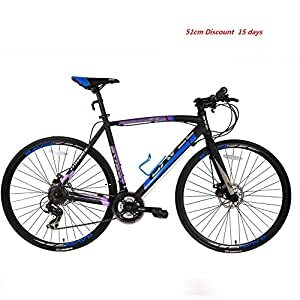 As this is a very inexpensive bike, it is not recommended using the 26-inch Roadmaster Granite Peak Mountain Bike on rugged mountain terrains. The more expensive multi-surface mountain bikes are designed for more aggressive exercise. The Granite Peak is perfect for easy and intermediate trails on mountains and roads. 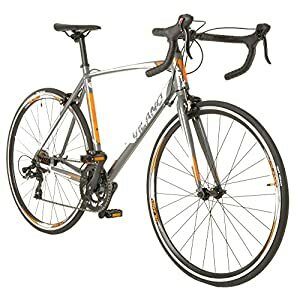 Since the frame is specifically designed for beginning and intermediate riders, it provides a very comfortable to ride compared to other bikes in its price range. The rider will not be challenged by bumps on the road because of a superior suspension fork. With the 3-piece mountain crank, the rider can easily change gears to manage any common terrain. It provides excellent exercise capacity for those riders trying to lose weight and keep the heart healthy. After using the 26-inch Roadmaster Granite Peak Mountain Bike, the rider will find progression to a more durable and expensive bike an easy transition. This bike is perfect for building stamina and strength. The chain needs to be removed and brushed with a light oil. The derailleur wheels need to be removed and brushed with a light oil. Derailleurs need to be lubricated weekly. Brake callipers need to be lubricated with three drops of a light oil. Brake levers need to be lubricated weekly with two drops of a light oil. 100% satisfaction guaranteed!.Ships to lower 48 states only. We cannot ship to, Alaska, Hawaii, Puerto Rico, P.O. Boxes or APO-FPO's.